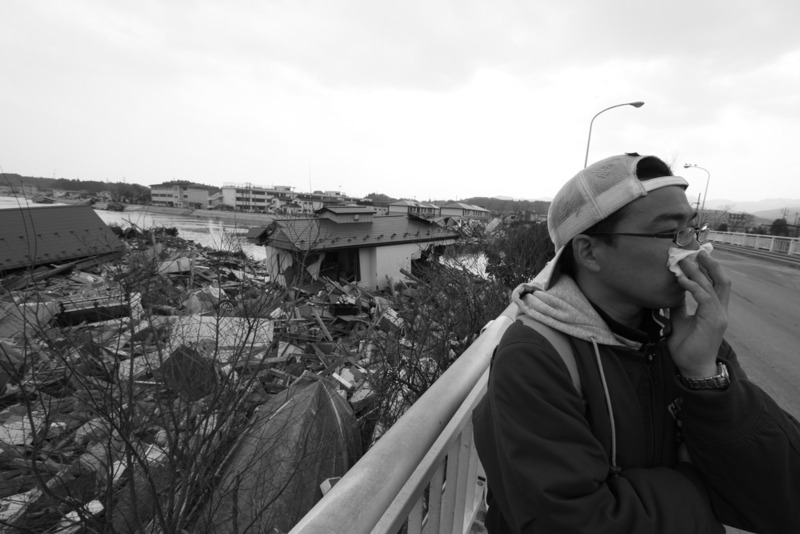 KESENNUMA, Japan | Hideto Miura, 37, never thought he would become a scavenger. He was working at a fish-processing plant by the ocean in his hometown of 70,000 when the March 11 tsunami forced him to flee for his life. 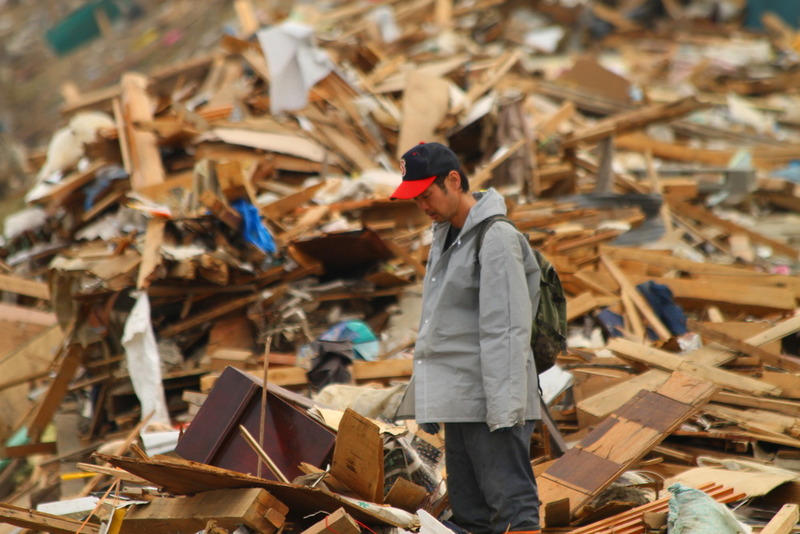 Like many other survivors who lost everything, he has been returning here almost daily to search for his car and anything else of value left in one of the most devastated cities in northeastern Japan. “I have no job and nothing else to do, so I might as well look for things,” he said. Unlike the homeless and trash-bin divers of Tokyo and Osaka, this new breed of temporary scavengers includes parents who were working as fishermen, teachers, mechanics and clothing makers less than a month ago. At first, most were too scared of the sea to come back from evacuation shelters in schools and town halls perched on bluffs above the disaster zone. But nearly three weeks of desperation and depravation have given them the courage to brave the nightmarish area they used to call home. 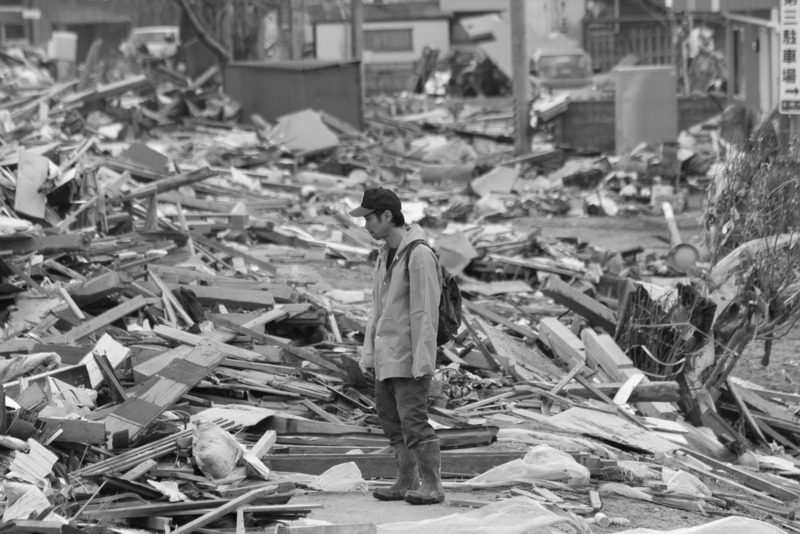 He was no longer disgusted by the smell of corpses buried under debris and the throat-burning acrid air from homes and vehicles charred by towering fires, which burned out of control long after the tsunamis subsided on the cold night of March 11. 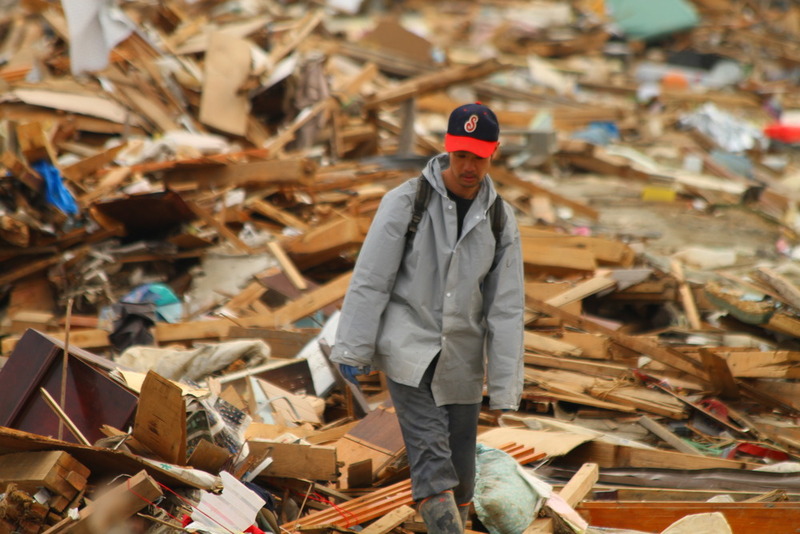 Wearing rubber boats, gloves and a white mask — like everybody else in the zone — he sifted through debris looking for his car, a white Honda. 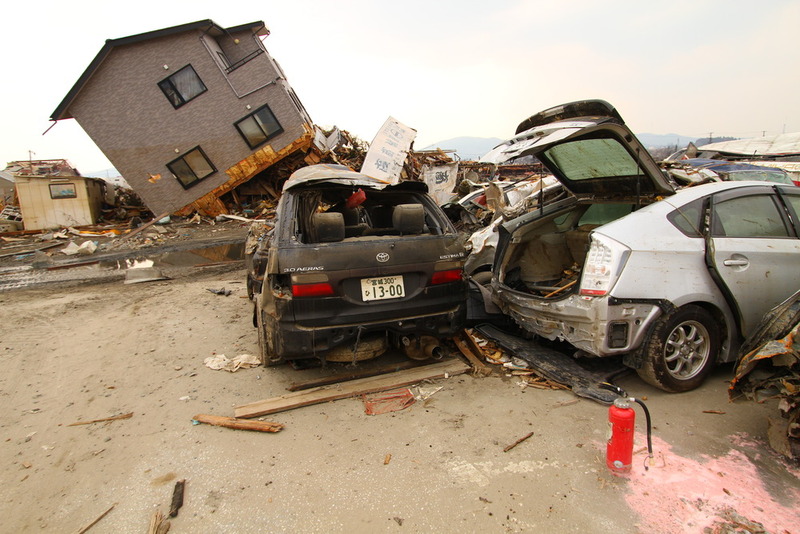 He finds white cars squashed under ships or perched atop houses and train tracks. Many leak gas and oil into the Okawa River, where screeching sea gulls sit on islands of submerged autos. None of the thousands of trashed white cars is his. 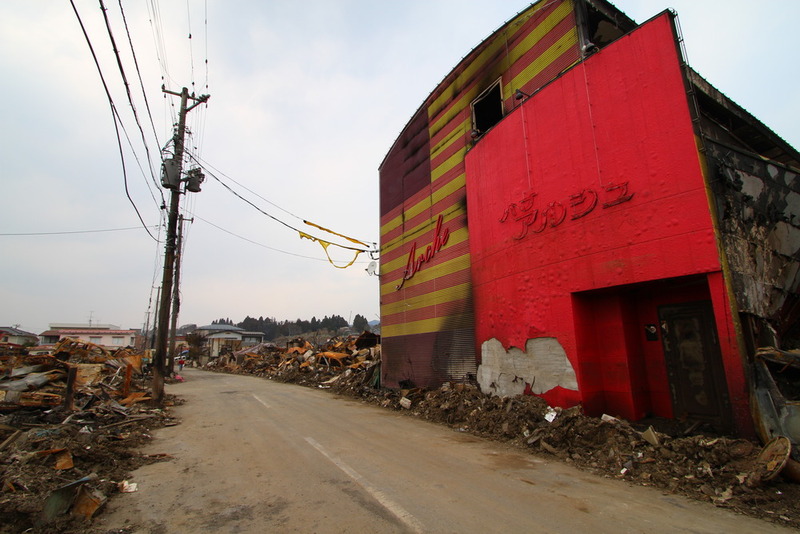 “The problem is, in Kesennuma almost everybody was driving a white car,” he said. 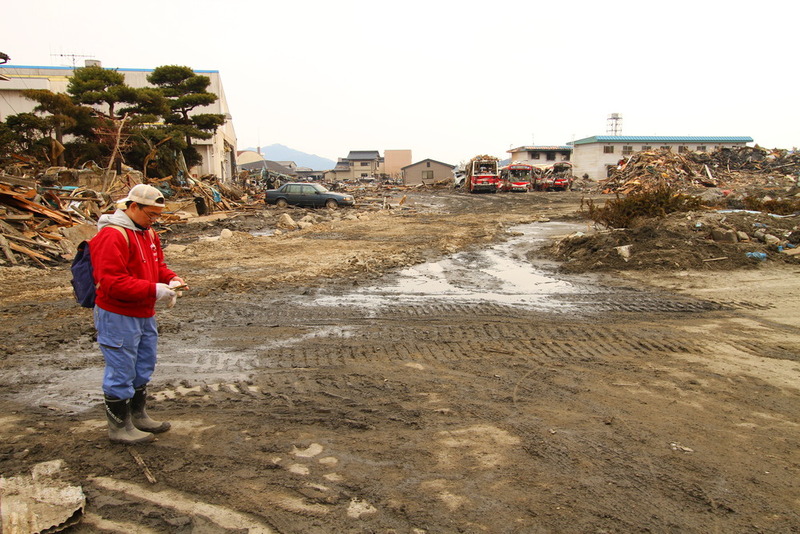 Although he never expected to drive his car again, and insurers will not cover losses caused by earthquakes or tsunamis, he at least wants some memorabilia – a license plate, perhaps. 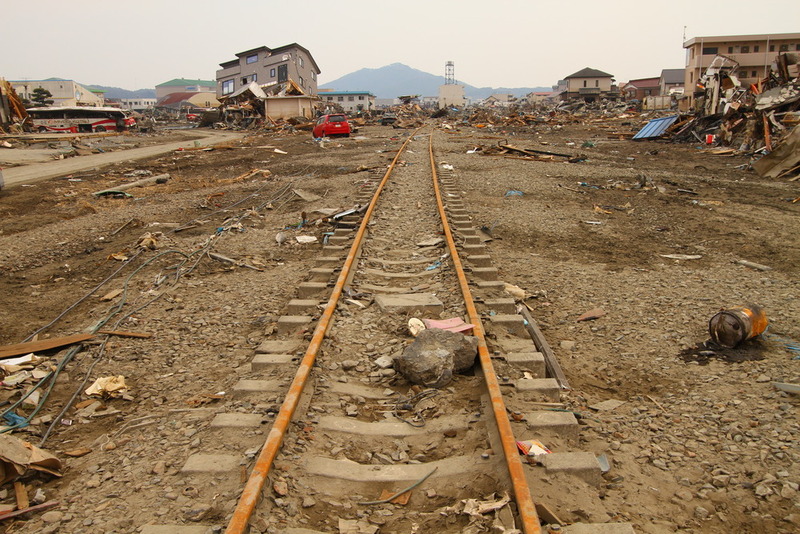 After a few hours of searching, Mr. Miura found a bicycle — with one flat tire — near a flooded elementary school where Japanese soldiers shovel out muck and park their aid delivery trucks in what used to be a soccer field. He also uncovered a can of tuna, which he gave to an 86-year-old woman who, grateful to be alive, seemed unfazed by the menacing chaos around her.